A “no” vote is a vote for the health of infants and small children...for the right to make our own health decisions...and for effective cavity prevention programs. This statement may be freely republished or quoted. Is this for real? If so I’m impressed! Thanks for this. Much appreciated! I am voting NO! let’s get hydrofluosilicic acid out of our water. I would like to see the data that shows that children are being poisoned. So far all I hear are these arguments that say that children could potentially overdose on fluoride, but lots of municipalities do fluoridate, so there must be cases and data analysis of it. This whole debate really reminds me of the vaccines causing autism debate, which consists of a lot of speculation but not a lot of data showing that kids who are not vaccinated have any less incidence of autism than kids who are vaccinated. Actually, rising rates of dental fluorosis due to excess fluoride consumption have been well documented by the CDC and others (a summary of research; other relevant abstracts). This was why the US Department of Health and Human Services proposed that the EPA lower fluoride limits for drinking water (as did the National Research Council before them). This organization is a fringe group of a very small minority of dentists. I searched for a dentist in this organization in Oregon, there is one dentist in the entire state who practices in Newport, OR. All of the evidence is convergent and demonstrates that fluoride compounds should not be added to public water supplies. 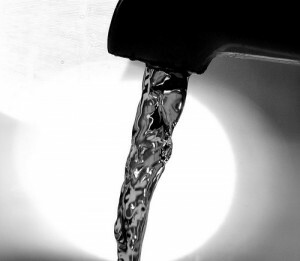 When examined collectively the evidence clearly demonstrates that fluoridation of drinking water supplies is both unsafe and having significant negative health implications for human health, society and the natural environment. Congratulations to these physicians and dentists. I did not really believe all medical and dental practitioners were stupidly ill informed about fluoride – but I was beginning to have my doubts! There is one overriding reason to not allow fluoride addition to drinking water and that is no one has the right to force mass medications particularly when it is known that the chemicals used are toxic. This is certainly long overdue, there is no reason to have flouride in the drinking water anymore. These are very courageous physicians and dentists, congratulations and nice work! If you really want the truth about fluoride, why don’t you check out the reports done in 1939 by the Department of Agriculture and the Public Health Services. While you are checking out those reports of who produced the most fluoride wastes during that year. Then move on to the report by the American Dental Association in 1944 that was terminated early. Or the 10 year study on artificial fluoridation done in Grand Rapids, Michigan. Or check out the infant mortality rates in Kansas City, Missouri after fluoridation was introduced.